It is the Holy Grail of all beginner musicians. An electric guitar that looks good, sounds good and is affordable. A golden mean that is so hard to find some have deemed it impossible. This assumption has yet to be disproved, but I have come upon many a guitar that came incredibly close to disproving it. One of these guitars is the ESP LTD F-50 Electric Guitar. Let us take a closer look and see what makes this guitar one of the closest things to the golden mean. The body of the guitar is designed to look stylish. Strong, geometric angles come with the U shape of the neck, and a lightweight body etched into a beautiful, angular design. The guitar’s coloring of Cherry red or midnight black produce a great looking the guitar. The thin U of the neck is incredibly attractive to look at, and makes playing very easy. The body is built out of basswood. This allows the guitar to remain very lightweight, and comfortable to play and hold for long periods of time. Basswood is also known for not being the sturdiest of hardwoods, so be careful while dancing around with it. Strong collision with things might result in permanent damage to the guitar. This might not be a horrifying issue in terms of sound, yet looks wise it can make the guitar uglier. The basswood has a great resonance with the lower tones of the guitar, lending a warm and enjoyable sound to the guitar. The neck of the guitar is bolt on and made of solid mahogany. While I don’t like bolt on necks, they are a very viable solution when done right. Which is most of the time. The maple used in the neck is a great choice. This sturdy hardwood is bound to kept your guitar together for a long time, resisting most abuse without so much as a hiccup. The fretboard of the guitar is made of rosewood, the dark colour of which complements the rest of the guitar beautifully. The bridge of the guitar is in the Tune-o-Matic style, a sturdy design. While it does not allow for much string bending with a lever, the bridge is sturdy and adept at keeping your strings solid. The String through style allows for distances between strings to be stable, while also allowing for quick string replacement and tuning. The nut of the ESP LTD F-50 is made out of synthetic material. Synthetics are not my favorite part of any instrument and yet here the nut is just enough to keep the guitar’s buzz to a minimum. The tuning machine is where the guitar, like so many other in its price range, start to suffer. The tuning does not keep for long, meaning you will have to work on re-tuning the instrument every few days. Not a big problem once you get really quick at it, but still, slightly annoying. All of the hardware, unless otherwise stated, is made of chrome, just like with most other guitars. The guitar has a pair of powerful humbuckers, a great choice if you understand that the design points towards hard rock and metal. The ESP LH-150 humbuckers, while not top of the line, will serve most people rather well. Capable of clean play and sustain pretty much the same way, these humbuckers are a good choice for a beginner electric guitar player. If you someday outgrow them, go ahead and replace them with ease! The guitar has several control knobs to allow you customization of your sound. Most of the standard knobs: volume, sustain, etc. are present, as well as a lever to allow you to pick your pickups preferences. The sound of the guitar is definitely big. The two ESP humbuckers do a great job of amplifying the guitars sound and making it versatile. 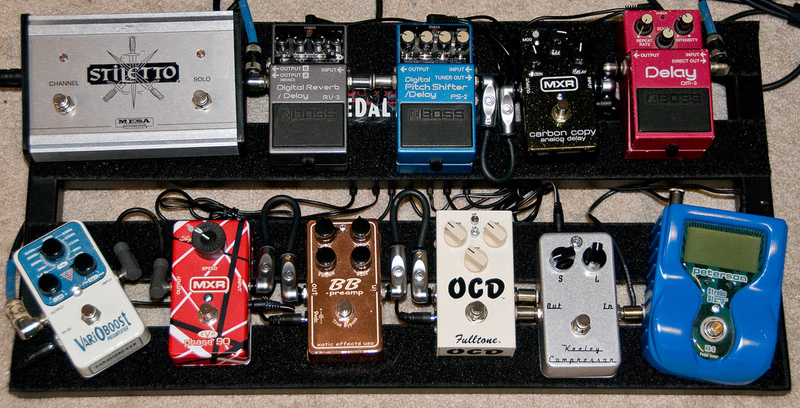 Whether you want a clean, warm tone of a sustain heavy metal ride, you can do either. The basswood does add a little bit of its own low tone bias. Overall you get a great hard rock and metal sound. This is a great guitar for beginners! The few problems it has, the great qualities balance out. Combine it with the affordable price and you will see why I don’t have a problem recommending it to everyone. Click here to find out more about ESP LTD F-50 Electric Guitar. 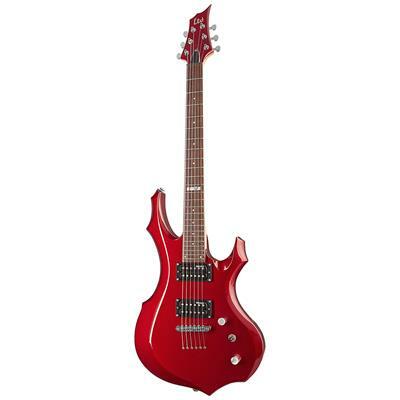 Click here to view more from Best Cheap Electric Guitars Under 200.